My first JavaOne ever is over. Had a great time there. San Francisco is a great city, and the weather was perfect, a least the first couple of days. I did enjoy all keynotes, especially of course the Java Community Keynote with James Goslings‘ surprise visit and presentation. Most sessions I‘ve attended were really great. Experiencing Adam Bien live was really a lot of fun. My other highlights were Modern Software Development Antipatterns by Ben Evans and Martijn Verburg (those guys rock! 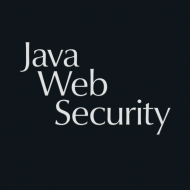 ), Real-World Java EE 6 Tutorial by Paul Bakker and Bert Ertman (impressive knowledge) as well as several security related sessions. And of course my own session on Apache Camel Security. More people (about 60 showed up, more than 80 registrations) as expected were interested in a security topic. The locations (the three JavaOne hotels) were closer together than expected, way less time-consuming walking as expected. But even the short distance made it impossible to attend all desired sessions in full length since an early show up at most sessions was required. Plus of course the free beer and coffee (not at the same time) sponsored by IBM. A lot of cool bands in the evening. Oracle‘s overall organization was perfect, including always available helpful staff. What I do not understand however is how technically interested people (a.k.a. geeks) are not able to mute their mobile when attending a session. I can‘t remember too many session without at least one mobile entertaining everybody with a lovely ringtone. This is totally disrespectful of the speaker and the other attendees. What I didn't like that much: WLAN was a catastrophe, at least most of the time. OK, this is really a challenge, so many geeks with so many devices… But hey, it‘s 2012! And food was extremely poor. Welcome dinner on Sunday night was great, but the rest of the week was sandwich only. It was enough, but nothing special at all. And why they served drinks in cans is, for a so-called green conference, beyond me. But anyway, JavaOne 2012 was a success for me and a great experience! Lets see whether I will get the chance to go there again.